​As I look back on this past year there is so much to be thankful for. I choose to remember the good and let go of the rest. Yes there were challenges, but we made it! Hallelujah bless God! Posted in faith, God, Hope, Psalms, Religion and Spirituality and tagged Hope, Inspiration, Life, Psalms, Thanksgiving. Bookmark the permalink. 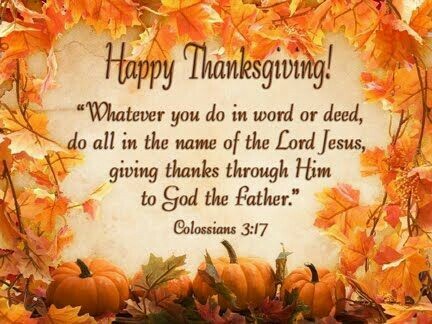 Happy Thanksgiving, sister in Christ Diana. God bless.